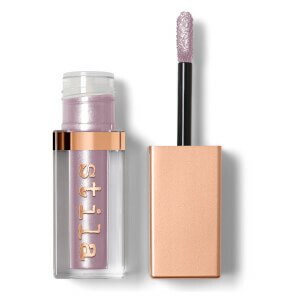 Create subtle shimmer or statement sparkle with Stila Shimmer & Glow Liquid Eye Shadow, a pigment-packed liquid eyeshadow with high-impact sheen. 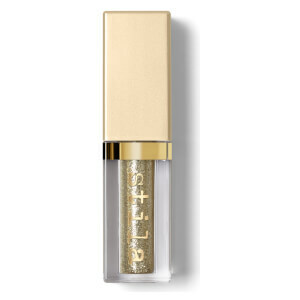 Infused with multi-dimensional pearl pigments for shimmer without the glitter, the liquid eyeshadow glides effortlessly across lids, laying down beautiful, buildable pigment that can be layered for a more intense effect. Smooth and luxurious, the lightweight eyeshadow is infused with water (over 40%) and dries down to create a high-sheen shimmer. The liquid eyeshadow formula delivers maximum impact with minimum fallout. Wear alone or over other eyeshadows. Apply to lid and blend using your fingers or a brush. Wear alone or over eyeshadow. Water/Aqua/Eau, Calcium Sodium Borosilicate, Mica (Ci 77019), Glycerin, Hydroxyethyl Acrylate/Sodium Acryloyldimethyl Taurate Copolymer, Caprylyl Glycol, Squalane, Phenoxyethanol, Triethanolamine, Hexylene Glycol, Carbomer, Polysorbate 60, Tin Oxide (Ci 77861), Sorbitan Isostearate. (+/-) Titanium Dioxide (Ci 77891), Iron Oxides (Ci 77499, Ci 77491). Please Note: Ingredients may vary by shade. Please check individual packaging.